Up to date travel guide of Ukraine, including information about the country as well with its major cities, is visa procedure, cuisine, attractions and shopping. Ukraine, one of the most beautiful countries in the world, has come a long way from the misfortunate events that it had to go through in the recent history. What one sees when he looks at Ukraine is now actually many things; a country that has fought and paid what it takes to be itself, a wonderful nature, a delicious cuisine, a deep history that still tells a lot about the past and a charming aura that surrounds anyone who lands a feet on this beautiful land. Ukraine has got 5 regions; Central Ukraine, Crimea, Western Ukraine, Eastern Ukraine and Southern Ukraine. All of these differ from each other in terms of the major factors such as nature, the way of living and their position in the Ukrainian economy today. When all these are considered, it becomes clear what creates the harmony the country has got today. The population of Ukraine is around 44, 5 million people. 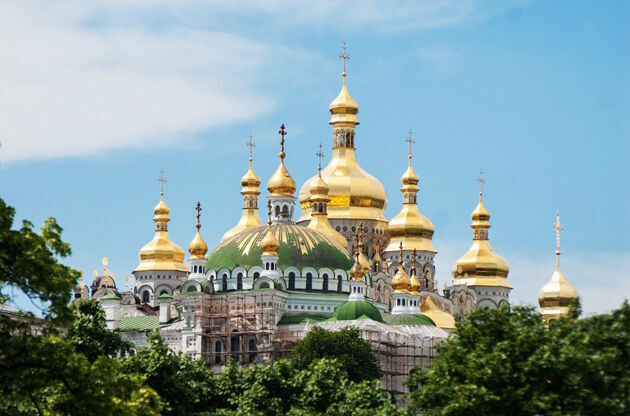 The capital of the country, Kiev, while fascinating the visitors with its beauty, has got the most of the population with a number of almost 3.2 million people in the metropolitan area. The other major cities of the country include Chernihiv, Chernivtsi, Lviv, Donetsk and Kharkiv. Ukraine’s unique natural beauty is complemented by warm and sunny springs, followed by beautiful summers that have average temperatures. The winters of Ukraine are famous for being really cold, usually accompanied by snow. The climate of the country supports the delicious cuisine of Ukraine, which has got dishes made out of variety of ingredients grown or produced within the land. Ukraine may be a very young country; it was only 1990 when its sovereignty was declared however the beauty of the country and the will of Ukrainians for a fresh start has taken it to another level; to a one which all the visitors cannot help falling in love with both the historical victory and the beauty that surrounds every inch of the country. Ukraine is located on Eastern Europe, neighboring Russia, Belarus, Poland, Slovakia, Hungary, Romania and Moldova. The country has got a coast to Black Sea. You can check it you need a visa while traveling to Ukraine on the official website of Ministry of Foreign Affairs of Ukraine . Ukraine is one of the most fast growing countries and so are its attractions. No matter what you are fond of, this country guarantees you will find the one you will enjoy a lot and remember for the rest of your life. When the historical background of the country is taken into consideration, it is not surprising that the visitors will come across a large number of museums, no matter which city they travel to within Ukraine. The big cities are filled with historical buildings, parks and squares and these guarantee an enjoyable time while getting to know this rich culture even better. All types of restaurants, night clubs, movie theatres, opera houses are present in big cities of the country. Ukrainians pay a lot of attention to the sports. It is possible to say Ukraine is actually an assertive opponent when it comes to football. Hiking and kayaking are also popular among both the locals and the visitors. In addition, the country holds a large number of sports events throughout the year. Ukraine has got an outstanding nature. Towns and villages, while offering and experience of traditional Ukrainian way of living, are the great places to witness the unique beauty of this country. The cuisine of Ukraine is another thing that will make you fall for this country. From breads to deserts, Ukrainian cuisine include a large number of things that will make you crave for the rest of your life. Although the style of Ukrainian cooking got influenced by the styles of the neighboring countries, it wouldn’t be wrong to say that the major feature that shapes the cuisine is the usage of stone ovens, which made the perfectly cooked, mouthwatering dishes. Of course, the best place to try the internationally famous soup Borshch is Ukraine. This delicious food has got more than 30 different varieties all of which include whether meat or fish. Other famous dishes include Varenyky (dumplings), Cabbage rolls, Deruny and Pyrizhky. Don’t forget to try the delicious bread Pampushki. It is garlic flavored and goes really well with all kinds of soup. Syrnyky, Zhele and the famous Christmas desert Kutia must be on your deserts list to try when you are in Ukraine. Of course, going to Ukraine and not trying some vodka would be a complete failure. Horilka is the local name for vodka for pepper. Don’t be surprised when you are offered a shot of that just before enjoying your meal. You can also try mead, an alcoholic beverage made out of water, honey and yeast. Ukraine will be a shopping heaven for you if you are after authentic, traditional shopping. There are also a large number of shopping malls, streets that are filled with the stores of international brands. No matter what your specifications are, you will be able to find them in Ukraine. The country is also famous for the lively local bazaars in which you can find a wide range of fresh food and vegetables. Ukraine will offer a lot of options to the ones that want to take some pure Ukrainian things with them back home. These include Pysanky, the painted eggs, Motanka dolls, Ceramics, embroideries and straw souvenirs which make the perfect gifts for the ones that like decorating their houses with objects from different cultures. In the big cities, the traveler may come across to long, shiny shopping streets or squares. These cities also offer a large number of shopping facilities such as malls with movie theatres and food courts. Ukraine has been gaining a lot more attention from the top notch event organizers worldwide recently. This of course has a lot to do with the growing number of high tech equipped venues and luxurious hotels. Every year, the country becomes the hub of a large number of international congresses, conferences, symposiums, fairs and trade shows. The one of a kind aura of this beautiful country has got a lot to offer to the event attendees.